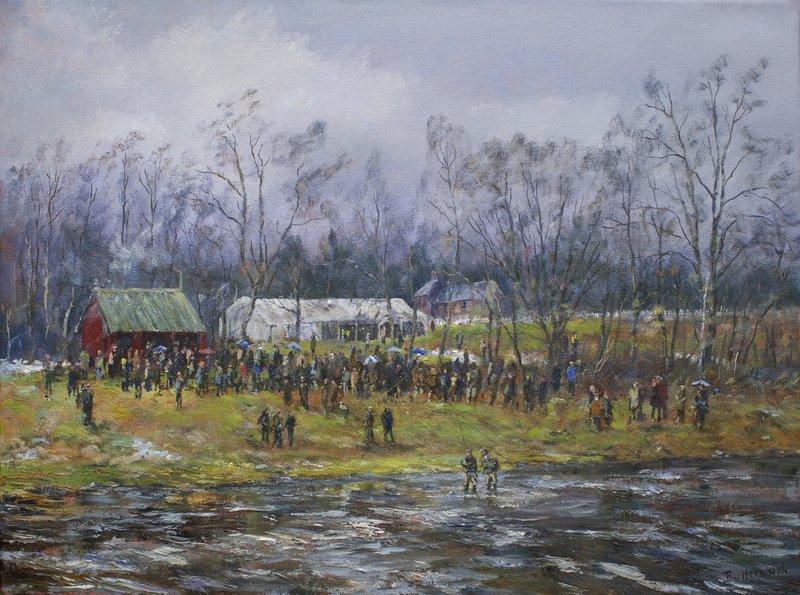 Here is esteemed artist Howard Butterworth in action painting at Borrowston on the River Dee opening ceremony 2013, celebrating the River Dee and the 150th birthday of the Dee District Salmon Fishery Board. Howard is an artist of great renown and sees his paintings fetch top dollar at market. 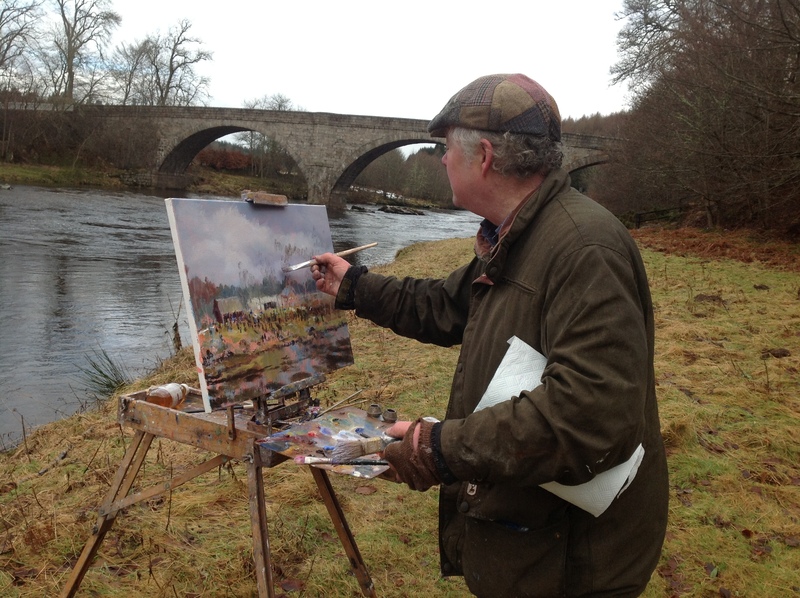 Howard wanted to continue his dedicated efforts as a kind and generous supporter of the River Dee, its education programmes for children, and of course the tremendous amount of habitat restoration work restoring the River Dee valley to its former glories. Over 100 years ago many riparian forests were removed which allowed sheep farmers to prosper and when they moved out, Deer and Forestry became the main resource for many land owners. Now with global warming affecting the upper Dee valley and harming the progeny of our treasured spring salmon stocks, action is being taken to mitigate against this increasing and maligning threat. The £2.5 million Pearls in Peril project will see a terrific amount of native woods being planted throughout the upper catchment and tributaries which will provide shading to cool the river in summer months, stabilise the banks against erosion preventing siltation, and provide a home for invertebrates which are vitally important to our rare freshwater pearl population and juvenile spring Salmonids. This is a hugely ambitious project, albeit the River Dee organisations have a great track record in project delivery, with the E.U Cass Life project an example of exemplary delivery of a large match funded project. The River Dee Trust need to find funds constantly to allow them to seek matched funding opportunities that arise from time to time and enable great restoration work programmes to be undertaken. Every contribution made to the River Dee Trust is crucial and does get used for very important work projects, the likes of which could never be undertaken in a short time span without this collaborative support.